Enjoy the top 1 famous quotes, sayings and quotations by Daniel Montgomery. People who've been hit with the gospel respond naturally with radically changed lives and hearts. 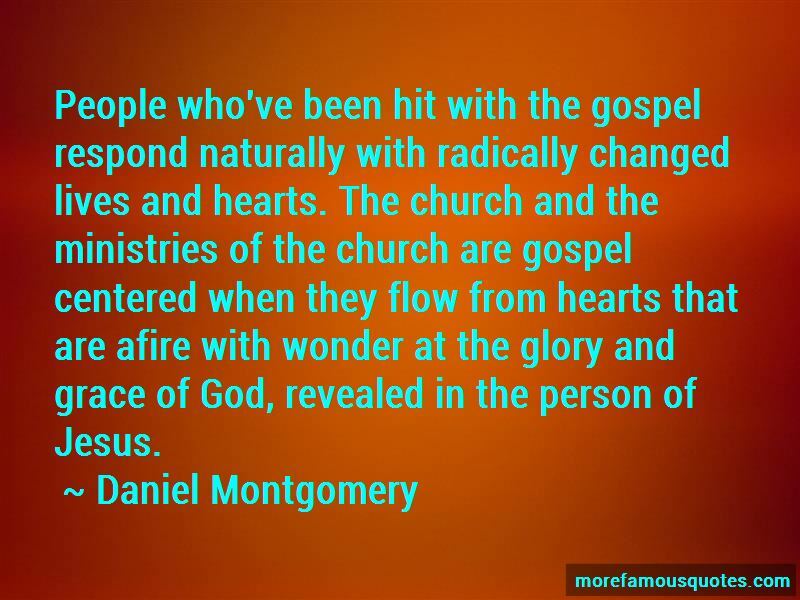 The church and the ministries of the church are gospel centered when they flow from hearts that are afire with wonder at the glory and grace of God, revealed in the person of Jesus. Want to see more pictures of Daniel Montgomery quotes? Click on image of Daniel Montgomery quotes to view full size.